Cornflake Cookies - with kettle chips! These sweet and salty no bake cookies are a treat you'll want to make a new tradition every holiday season! And they couldn't be easier to make, you don't even need to the oven on. These cornflake cookies only require basic ingredients and a few simple steps yet you get such an irresistible, addictive end result! 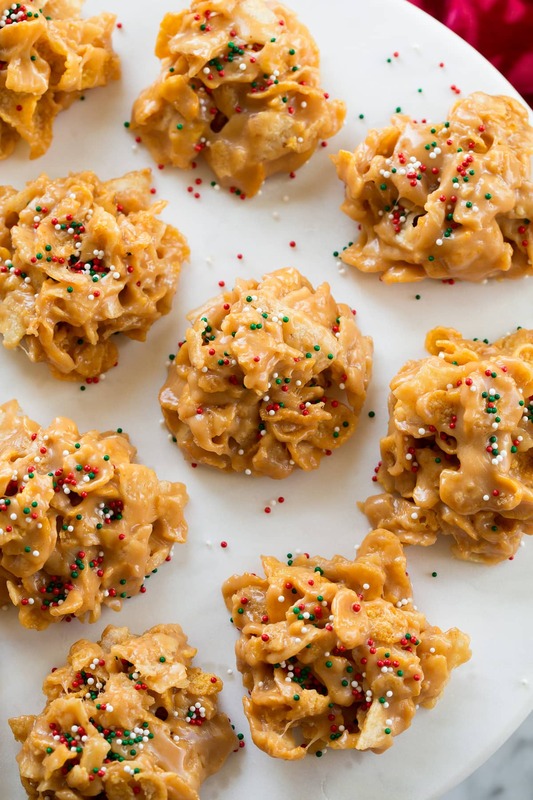 It starts with crispy cookie base, thanks to the cornflakes and kettle chips, then they're covered in a chewy, sweet peanut butter coating and finished with colorful sprinkles if you want to make them festive.